Well to start, since I read your articles in English but you are in Mexico, I did have the doubt to write to you in English or Spanish, but not knowing, I decided to write English, it is not the best way to express for me but, but I will try. The main reason that made me write to you is because, in one of your articles you mentioned something that addresses one of my biggest question in life, I was sexually abused when I was a kid, and now as an adult I do understand that it was an abuse but, back in my mind I did not understand why I felt this way, because it has affected my life adversely in many ways, but it did had some kind of pleasure, it was never something painful physically. More than anything somehow I knew it was something bad and I could not mention it to anybody, so I was always thinking about it, and I guess that’s what created the most damage to my mental health. This made me very insecure, I became a loner and lonely person, who has suffered many, many frustrations especially when it came to my relationships with people. I have suffered many love deceptions, and once in my life I needed to step out of my marriage which was very painful for me because I knew I was causing my wife pain just as bad as the one did suffered myself, so I felt guilty, I always thought that the only one who could suffer this badly was me--that I was the only one who could deserve that kind of pain--after all I was worthless. Well the paragraph above was intended for me to explain in a short form why I think I feel this way: I am very insecure, I do no feel comfortable in front of people or speaking in public or leading a group in a meeting. When I feel that I am exposed, by any means--something that I said or mentioned, someone asking me to express my thoughts, or speaking about me, or the need to explain something in a meeting, someone inviting me to lunch, going to lunch in a group, or many other situations where I need to be part of a group--there is always something that sparks some kind of a switch and I start sweating, but I mean sweating really, really bad, so this becomes very embarrassing, because I can not stop it. My forehead starts getting very shiny, and then start having drop of sweat from the side of my ears, and then I start feeling drops in the back of my head. I stop thinking straight, about the subject that I was discussing, and I feel that people also gets distracted because they do not understand what triggers that in me. 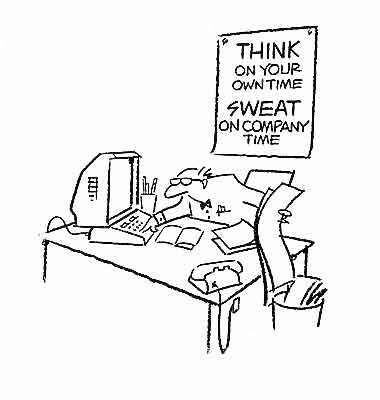 My shirt start to feel uncomfortably wet, I keep sweating and sweating, I feel that everybody in the meeting has noticed, but nobody mentions anything and they try to avoid asking me anything after that because they do not want me to get their meeting distracted. This has happened many, many times, then after it happens or the meeting is over I feel terrible. I feel like a total loser, and that nobody is going to have confidence in me anymore. Then, back at my desk I get these hidden attacks of anxiety and defeat. I feel so tired about this, I have read many, many books about self esteem, motivational, self improvement, and I have seen a psychologist, but nothing works. When I do not have these attacks I feel great but, I am tired of feeling this way. Is there anything that can be done for me? Where do I look for help? Can anybody help me? Is there any type of professional that I should see? What kind? Writing in either English or español is fine for me (que hablo el idioma tambien), and you did fine expressing yourself en inglés. Judging from your letter, I think you should see a psychologist to get help with your sexual abuse problem as well as your social anxiety. Dealing with the aftereffects of sexual abuse requires ongoing psychotherapy. Your sweating problem probably is connected to your social anxiety which seems to have been one of the outcomes of the abuse, and probably will lessen as your psychotherapy continues. 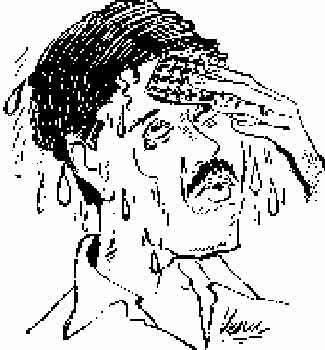 If the sweating is a symptom of the nervousness which is part of social anxiety as I assume, you may get relief also with one of the antidepressant medications such as Zoloft, or perhaps occasional use of an anti-anxiety medication such as Xanax, which you would take just before having to be in a particularly stressful social situation, and one of these medications might be recommended by the psychologist after a personal interview with you. Please read my replies to questions about child abuse, and please consult a good psychologist who specializes in psychotherapy for survivors of childhood sexual abuse. I understand that you have already consulted a psychologist, and that you were disappointed, but please try again. Like any other profession, psychology contains both good and bad apples, and sometimes one has to root around a bit to find a good one. But good ones are out there, so do try again. Expert psychotherapy is exactly what you need, and it will help. By the way, as I keep repeating, I am opposed to self help books of any kind. I have never seen one that could help someone with problems like yours, and some of them can be damaging, particularly since anyone with real problems needs expert specialized help, not a few chapters of generic information. To read a bit more about this, take a look at my reply to this question about self help.